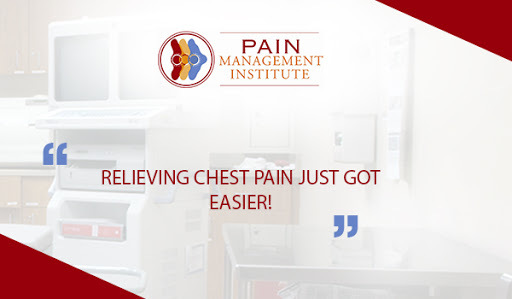 Relieving Chest Pain just got easier! Aug 11 Comments Off on Relieving Chest Pain just got easier! It gets hard to describe what to do when you feel pain or discomfort in the chest. Is it a heart attack or another, less serious problem? Since chest pain can be a sign of a heart attack, if the pain is due to heart disease, it is important to seek help and get treatment as quickly as possible. One of the ways of treating chest pain is to undergo the Intercostal Nerve Block Treatment. Intercostal nerve blocks are popular with physicians treating chronic pain and inflammation in the abdomen or chest for a prolonged period of time. Patients with pain that is resistant to opioid treatments, or who wishes to avoid using them, often find intercostal nerve blocks are a practical and less risky pain management option. Surgeons may also use intercostal nerve blocks as part of analgesia during major thoracic or abdominal procedures. An intercostal nerve block is an injection of medication that helps relieve pain in the chest area caused by a herpes zoster infection (or “shingles”) or a surgical incision. Intercostal nerves are located under each rib. When one of these nerves or the tissue around it gets irritated or inflamed, it can cause pain. A steroid medication and local anesthetic injected under the rib can help diminish the inflammation and ease the pain. Intercostal nerve blocks also can be used to help identify the source of pain. Soon after the injection, you may notice that your pain may be gone or considerably less. You will be kept in the recovery room for a short period for observation. The risk of complication from an intercostal nerve block is very low. However, there could be bruising or soreness at the injection site. Very rarely, this injection can result in a complication called a pneumothorax (collapsed lung) so a chest x-ray may be obtained. Some patients account for pain relief to take place immediately after the injection, but the pain may return a few hours later as the anesthetic wears off. Longer term relief usually begins in two to three days, once the steroid begins to work. The duration of this relief is different for each and every individual patient. For some, the relief lasts several months. If the treatment works for you, you can have periodic injections to stay pain-free. An intercostal nerve block may be right for you if you have a recent onset of pain in the chest area especially due to shingles or a surgical incision which does not respond to other treatment. Talk to your physician about it. Give a call to Pain Management Institute at 815-464-7212 and schedule your evaluation with Dr. Zaki Anwar. He is very experienced in interventional treatments and a world renowned Pain Medicine Physician who has been practicing ways to cure pain leading to serious problems for the past several years After determining the cause of your pain, he may use a variety of treatments to provide you with pain relief.